Do you like relaxing in the bathroom and do you like to wrap yourself in a large soft towel when you step out of the shower? Then, of course, you also need a place to put them neatly on the mountains. A towel rack that perfectly matches the style of your bathroom is often hard to find, and so a custom stainless steel towel rack is a godsend for anyone who loves luxury in the bathroom. We make your new stainless steel towel rails according to your taste. Only a functional product in the house is no longer necessary. 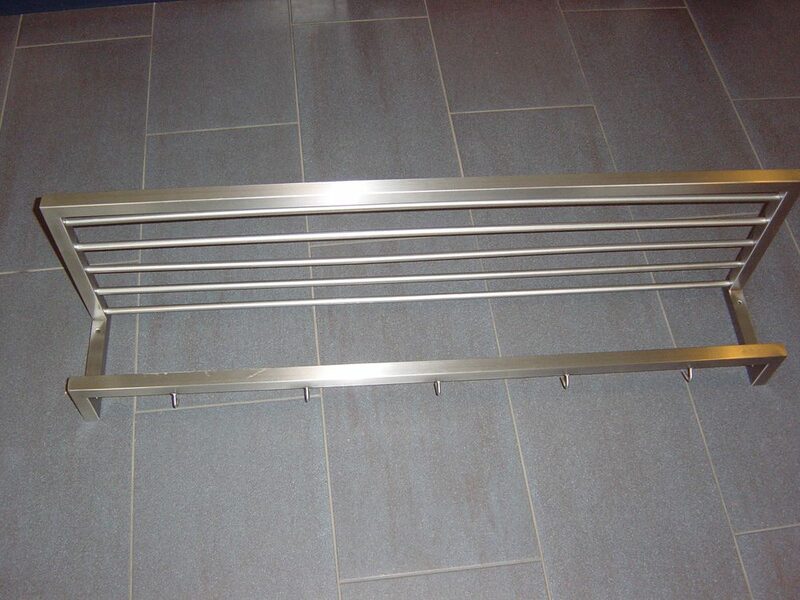 We make your new stainless steel towel rails according to your taste. Modern or with a quirky twist; our specialists know what to do with the most special wishes, and can therefore also create a new stainless steel towel rack for you. Our specialists make stainless steel towel racks in all shapes and sizes. Are you looking for a towel rack for the wall or a standing towel rack? One with several swivel arms or one with fixed bars? Or does a towel ring seem a suitable solution for you? Whatever your wishes are, let your towels dry on the rack that matches the attraction of your bathroom. We would love to hear your wishes and ideas, and together with you, we can then look for a suitable design. Please contact one of our specialists. We will be happy to help!